Instead of reporting the launch itself, the reporter decided to focus entirely on the reaction of a former space shuttle astronaut to SpaceX’s success: Retired astronaut weighs in on successful SpaceX launch. The problem is that the quotes they use from the astronaut are generally incoherent, or edited together so badly as to say almost nothing. I read this short article numerous times, and the best I can guess is that the astronaut, Clayton Anderson, seems to be saying that it is important for the U.S. to regain the capability of launching its own astronauts into space, but what does that have to do with the Falcon Heavy launch, which was commercial and unmanned? I am certain Anderson made that connection, but the story completely failed to include it in the quotes, which makes his comments incomprehensible. Huh? I think he is referring to the reusability of SpaceX’s rockets, but if so the article does not make this clear. Instead, the article and Anderson both imply that NASA must lead, and teach these upstart private companies how to do this right. To this absurd premise I found myself giggling uncontrollably. NASA teach SpaceX how to do something? Hah! Anderson said although NASA’s budget has been stripped drastically in recent years, in his view, space exploration is an investment by taxpayers that produces returns for citizens across the entire planet. Really? In 2005 NASA’s budget was $16.2 billion. Since then the agency’s budget has been steadily increased, so that in 2019 its budget was $19.2 billion, with the strong likelihood it will top $20 billion in 2020. Hardly getting “stripped drastically” if you ask me. For Anderson to say this and for this news organization to not question it is quite disgraceful. It indicates either an appalling ignorance of some very basic facts, or a dishonesty and willingness to lie for political reasons that is even worse. Rather than report on SpaceX’s success, both Anderson and the reporter seem instead focused on twisting this success of private enterprise into a reason to give NASA more money. Ugh. When I read this I didn’t know whether to be angry or disgusted. Either way, this is the worst sort of journalism, allowing a government worker (which in this context this astronaut is) to lobby for more tax dollars, with no questioning at all. I realize that this example of bad journalism is really somewhat trivial, and that I might be making a mountain out of a molehill. At the same time, I think my readers should see my impression of space reporting by the general press. It might help you see this reporting in a more objective light. The right way? Does he mean the NASA way? The way that takes longer, costs more, sometimes gets cancelled, but always does less than originally advertised? That way? NASA had one great success, coming in on time and achieving the goal, but it was managed better, back then. Right now, it seems that only JPL is well managed, where space missions are concerned. Does Astronaut Anderson think that JPL should coach the private sector of space travel, or does he think the mismanaged, over-budget, over-schedule, under-performing manned space program should do so? Vice President Pence has recently made it clear that NASA needs to get its act together and stick to schedule. He is right, because these upstart startup commercial space companies are going to outperform NASA in a few years. Oops. Not a few years, Falcon Heavy is already doing so. Anderson not seeing this is a sign of the problem. Pence seeing it is the beginning of the solution. Ed Minchau: What do you mean you can’t post your blog address as your website? Does your blog have an ordinary url? 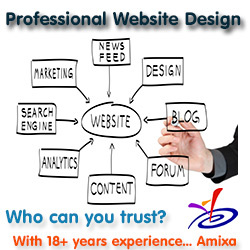 If it does there shouldn’t be any problem listing as your website. Edward: I don’t see any major typo. It seems your comment was right on topic, and added weight to what I wrote. Your summary is good too. Robert, my blog address is robot_guy dot blogspot dot com. When I tried to post it as my website I got a message that I was blocked as spam. Modern journalism is all shoddy. I recently asked a high school graduate, going into collage, who was a school reporter if they still followed the old 5 rules of reporting? Just the facts. He looked at me like I had a second head. He had no idea what I was talking about. He was never taught the 5 rules, who, what, where, when and why. Anything else is editorial opinion. Just read the standard article from any paper and edit out everything that is opinion. Just keep the facts. Sometimes you never even get all the facts. It is actually truly remarkable how consistent NASA’s budget has been since the Apollo wind-down. Since the mid-70’s, it has fluctuated right in a $15-20 billion (present dollars) range, with a slight blip above in the early 90’s to complete construction on the Shuttle Endeavour. Maybe he means some specific NASA budget ledger? NASA’s budget in real dollars did drop a little in the early Obama years, though much of that was the result of the end of the Shuttle program. Astrophysics and planetary science got robbed, too, though that was more Congress’s doing. P.S. I do think NASA has from time to time been helpful in technical advice to SpaceX, especially in its early years. Obviously, it’s harder to grok it being useful in project management. NASA’s chief value today is in giving it sizable contracts, and the ability to lease its launch facilities, which would have cost SpaceX a fortune to build on its own. As far as SpaceX building their own launch facilities, they’ve done a major rehab on pad 39A, and they rehabbed pad 40, and after the AMOS-6 fire completely rebuilt it. Their Boca Chica launch facility is far enough along to do test firings of the StarHopper prototype, which means that fuel storage and ground support are functional. NASA’s budget has been hurt far worse by the boondoggles of SLS and James Webb. And they haven’t taken a new launch vehicle from design to production since the Shuttle. I was mistaken; it was the Aldridge commission that recommended turning NASA centers into FFRDCs, not the Augustine commission. Actually, Obama slashed the planetary program big time. Astrophysics also died mostly, but that was not Obama’s fault but the overages for the Webb telescope. I may have been too harsh about NASA’s ability to teach upstart startup companies a thing or two. NASA has shown us some of what can be done, and they have shown us how not to do it. The biggest difference between our upstart startups and NASA is that the startups are moving forward, with optimization and new ventures, but NASA is moving back toward Apollo. This makes sense, because the startups need to make money in space, but NASA is trying desperately to relive its most famous — and possibly its greatest — achievement, right down to using a one-use capsule. The innovation is in the startups, not in NASA. Perhaps NASA’s last great innovation was the expandable space station module, which startup Bigelow has turned from an idea into a working device. Forward motion for those who depend upon economy and the economy, backward motion for those who depend upon government approval.